Chris Eldridge and Julian Lage with me and my bro at Interlochen Center for the Arts! It hit 61 degrees in Northern Michigan in late February this year, so I'm here to tell you, spring is just around the corner! I've been taking a break from performing since the Red House and Porterhouse Presents concerts in early December, and spent the winter playing basketball. I learned a lot of new skills from my coach, Tom Dickinson, and the other parent coaches at The Pathfinder School. It was really fun to be on the team. I can't wait to do it again next year! I also scored front row seats to a Chris Eldridge, Julian Lage, and Aoife O'Donovan concert at Interlochen this winter. I stood in line to meet them after, and they were all so friendly. Definitely go see them if you get the chance! I spend a lot of time researching guitars and finally decided to upgrade to a Martin HD28V. I walked into Traverse City Guitar one day and there she was - just waiting for me! She's a beauty. I spent my life savings on her, but she's worth it. Then something even better happened. I found a luthier who was willing to teach me how to actually build a guitar! 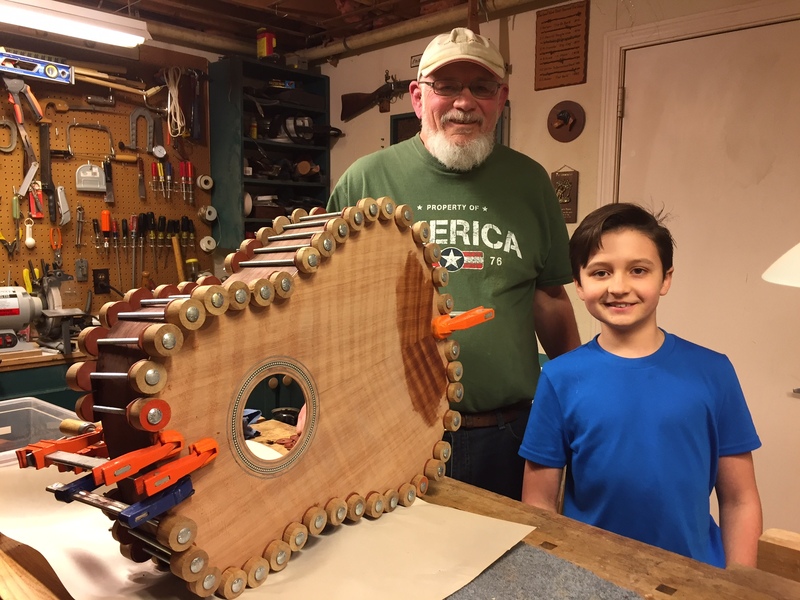 Bruce Davis is a retired engineer who has spent the last 16 years building instruments in his workshop. And he's the nicest guy ever. If you're not a guitar nerd, skip this next section: We are building a full-size dreadnought, and I get to pick out all the materials - redwood top, Madagascar rosewood back and sides, African mahogany neck, ebony fingerboard and bridge, snowflake inlay, koa binding, herringbone rosette and trim. I can't wait to show you! He also has some really beautiful guitars for sale at TC Guitar if you are in the market. This spring, I will be performing three free concerts, starting with a spring break road trip. I'll be on a radio show with a live audience in Knoxville, then I'll swing by Nashville for a few days before heading north to play the Sunday service at C3 in Grand Haven. It will be my first time in Nashville, so be sure to let me know if there's something I need to see or do! In May, my mom is really looking forward to having me perform at TEDx Traverse City. She's a big fan. So that's it for now, folks! Hope to see you this spring! Happy holidays everyone! 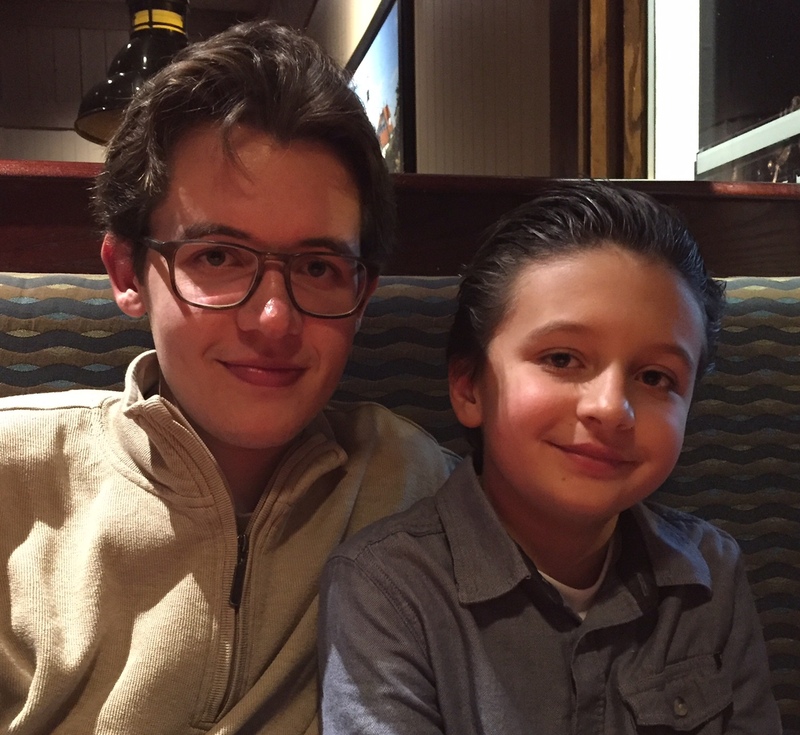 Thanksgiving was fun, and Christmas is going to be amazing! This fall I watched a couple of music documentaries that I would highly recommend if you are interested in that type of thing: “The Music of Strangers” with cello player Yo-Yo Ma and the world musicians in The Silk Road Ensemble, and “Jaco”, about the amazing but sad life of electric bass player Jaco Pastorius. I also really enjoyed seeing the Sweet Water Warblers live at The Bay Theatre! I did some pop-up performances this fall - a Halloween house party, a wedding (congratulations Brandon and Sarah Carman), and a benefit concert with The Accidentals on a two-hour notice (Sav says that's just how we roll:) Other than going to school and playing music, I spent the fall hunting with my dad and wrestling with my brother’s puppy, Django. I have three winter concerts coming up that I would like to tell you about. 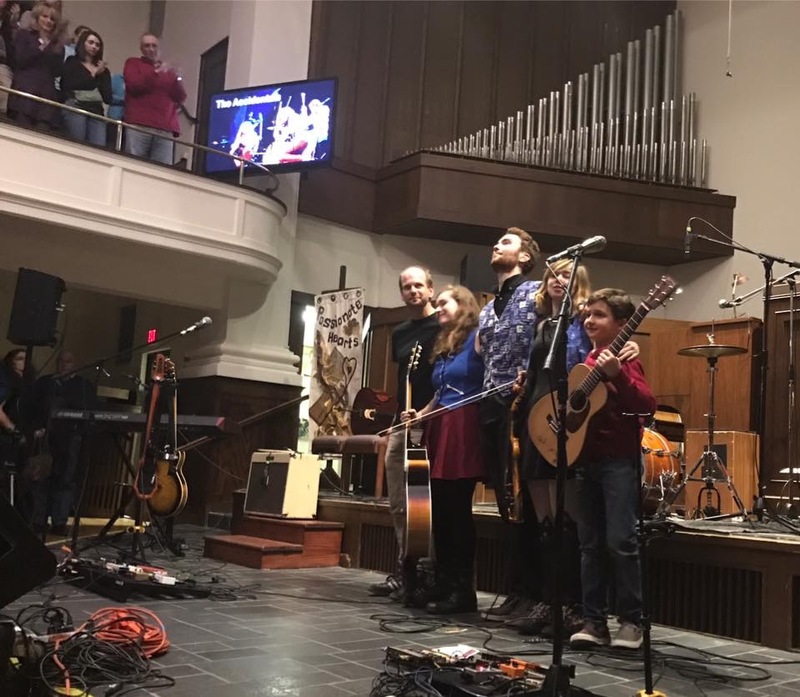 First, my roadies (aka mom and dad) will be driving me to Grand Haven to play at the Red House Concert Series with The Way Down Wanderers and The Accidentals. It is sold out. If you came to our show in Leland two years ago, this show at the Tri-Counties Museum might feel like a reunion concert. I am so excited!!! 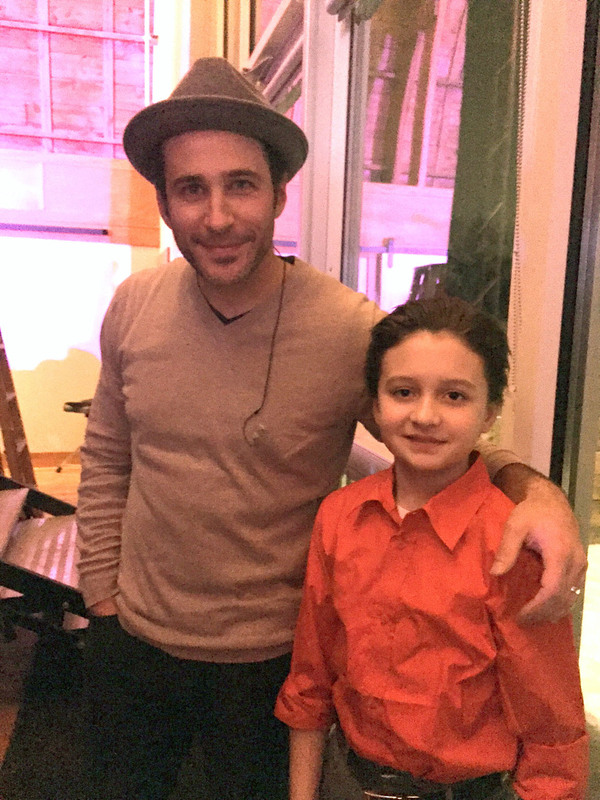 Next, I will play stand-up bass in The Pathfinder School winter concert with Lynne Tobin’s strings’ class. Thank you Kevin Gills for giving me some tips! Lastly, I’m opening for the Joshua Davis’ Winter Concert again this year. This Porterhouse Presents dinner and show will be in the Cathedral Barn at the Grand Traverse Commons. It will be an awesome night! I hope you will come. Tickets are selling fast at www.mynorthtickets.com. My birthday was on the day before Thanksgiving this year, and my mom and dad gave me a classical guitar. This winter I’m looking forward to messing around on it and on the electric bass that I gave my dad for his birthday, playing on a basketball team, and skiing with my family. I hope your winter is just as much fun! Well hello there! I would say it's time to catch up on summer news and move ahead to fall. Let me tell you - time sped up in August! I played a couple of songs on main stage before Billy Strings' sets at both Hoxeyville and Petoskey Festivals on the same weekend, (a dream come true in the "dreadful wind and rain",) joined Jack Elliot and The Honorable Spirits for a spontaneous Farmfest set, opened for Oh Brother Big Sister at The Hop Lot in my home town, invited Zak Watson to play before my Oryana set in the garden, and hosted two shows on the porch at Fountain Point Resort. 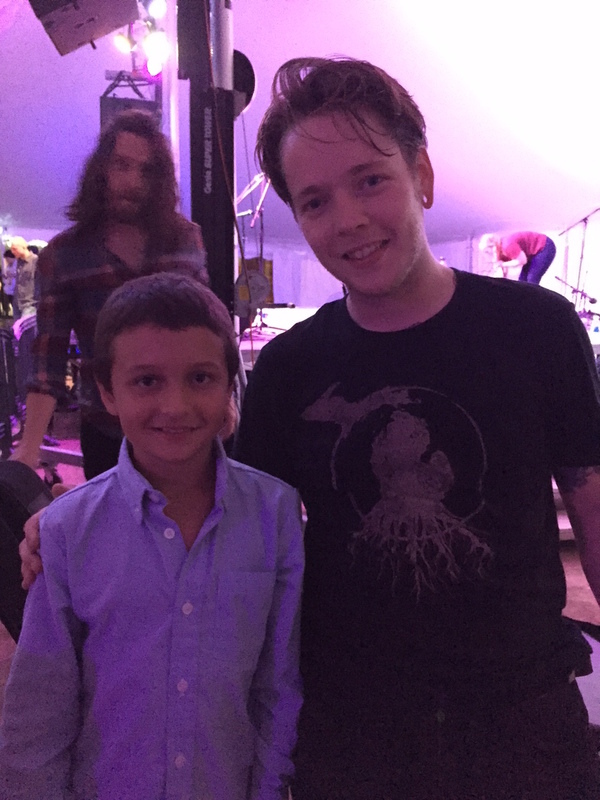 In early September it was an honor to play the Kids' Hill stage at Wheatland Music Festival in Remus and a couple of weeks later I got to share the stage with my Crazy Uncles at Leelanau Uncaged in Northport (Kevin Gills and Joe Wilson). 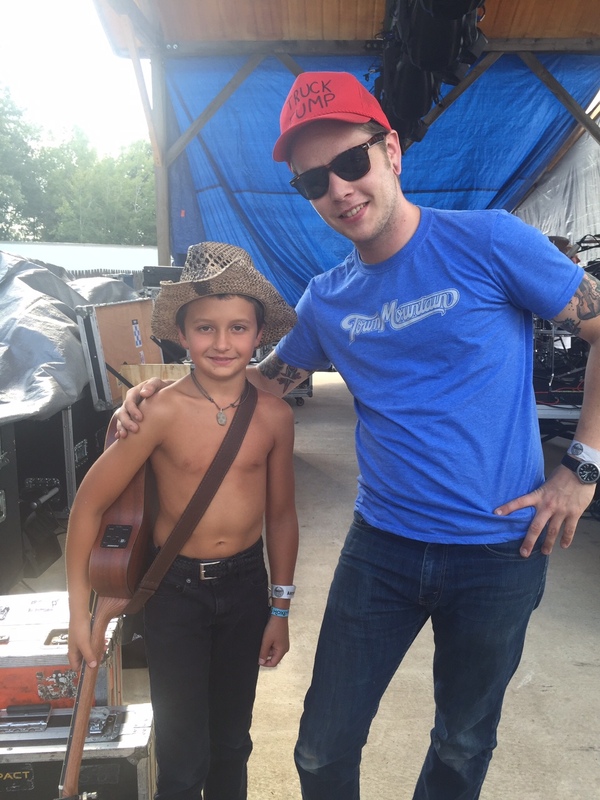 I always meet so many interesting people at music festivals! Now that I am back in school my performance schedule is slowwwing dowwwn.... I am going to The Pathfinder School in Traverse City this year. It's a really cool school and I am learning to play the stand up bass in my strings class with Lynne Tobin. I love it! (Tennis lessons and lots of gaga ball games are big fun too!) I am also really excited to tell you that my family just got a puppy (well, technically he belongs to my brother) and he named him Django (Reinhardt). 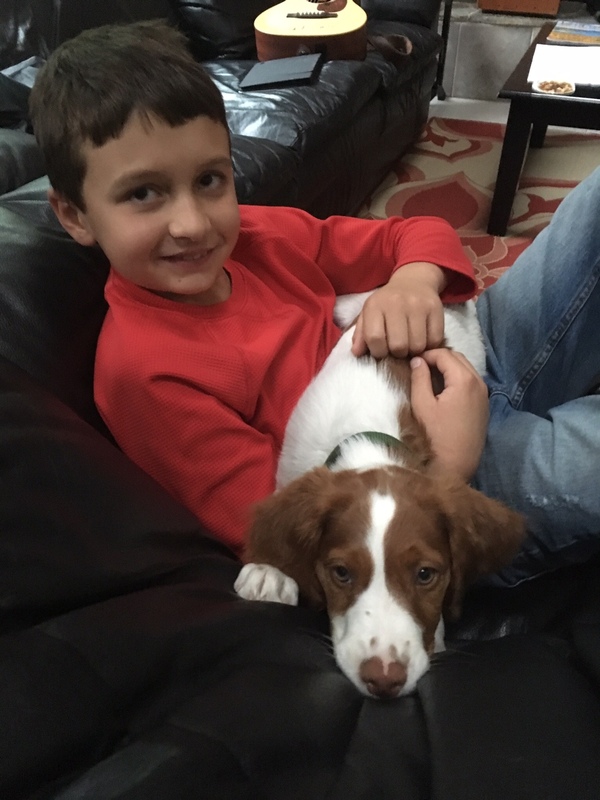 He's a Brittany Spaniel and has a lot of energy and sharp puppy teeth! In October I will do a couple of quick performances in Traverse City - I get to play one tune with The Jeremy Kittel Trio at Milliken Auditorium for school groups, and then a short solo gig at Hotel Indigo for the annual Michigan Downtown Association Conference. Both are really sweet gigs! In November I plan to start recording a new album. I can't wait to share it with you! Thank you so much for all your encouragement and support!!! It's festival season! 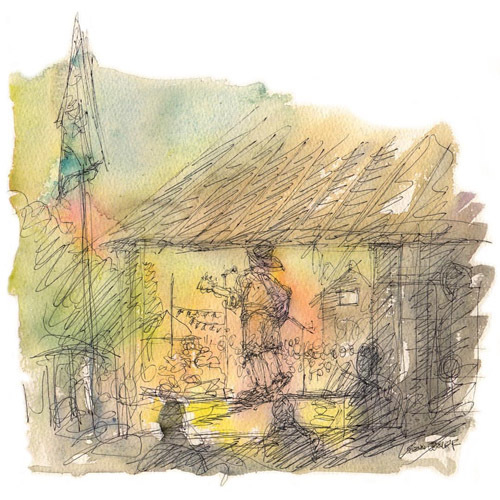 Glenn Wolff did this awesome sketch of me performing at the 36th Annual Blissfest last month. He was their artist in residence this year. Thank you Glenn and also my friend Marty Jablonski for making Main Stage happen! My cousin James came all the way from Miami to hang out with me that week and be my security guard and Collin Krause from The Way Down Wanderers played on my Third Stage set again this year. Thank you so much Collin and all the Wanderers for your support and encouragement! Dunesville was great too - Mackenzie Carlson and Dylan Tosh (Mac-n-Tosh:) drove up from Grand Haven to perform with me, I played on Kyle Skarshaug's set (The Busker's Union), and then we all jammed with Michael Michalski Jr. and Gage Baggs on Main Stage! Farmfest, Hoxeyville, and Petoskey festivals are all coming up this month! Summer in Michigan is my favorite time of the year. There's always so much to do - beach time, mountain biking, and live music! My dad and brother took me to Interlochen to see Bela Fleck and Chris Thile perform, and my mom took me to see the Jeremy Kittle Trio at the Bay Theatre. They were all amazing! 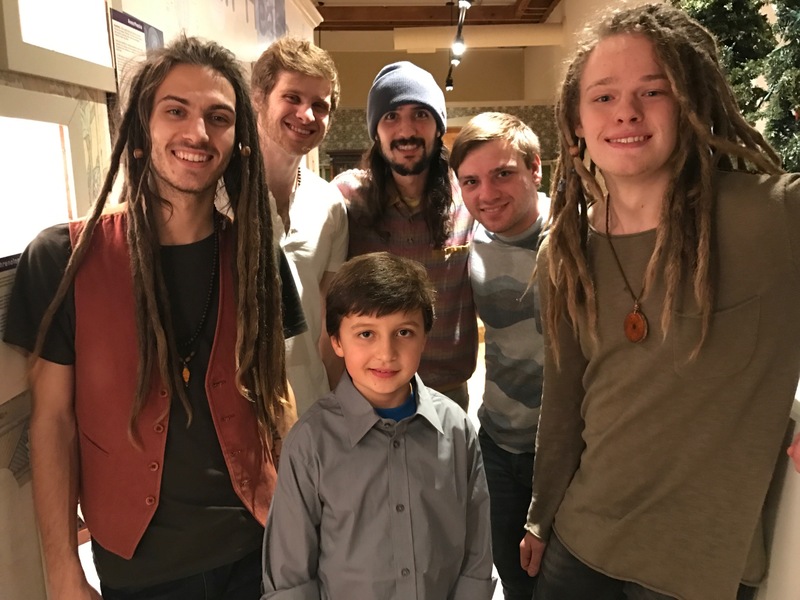 The Accidentals FAMgrove party at Fountain Point Resort was a lot of fun - six kid bands performed Accidentals cover songs before Sav, Katie and Michael tore it up! 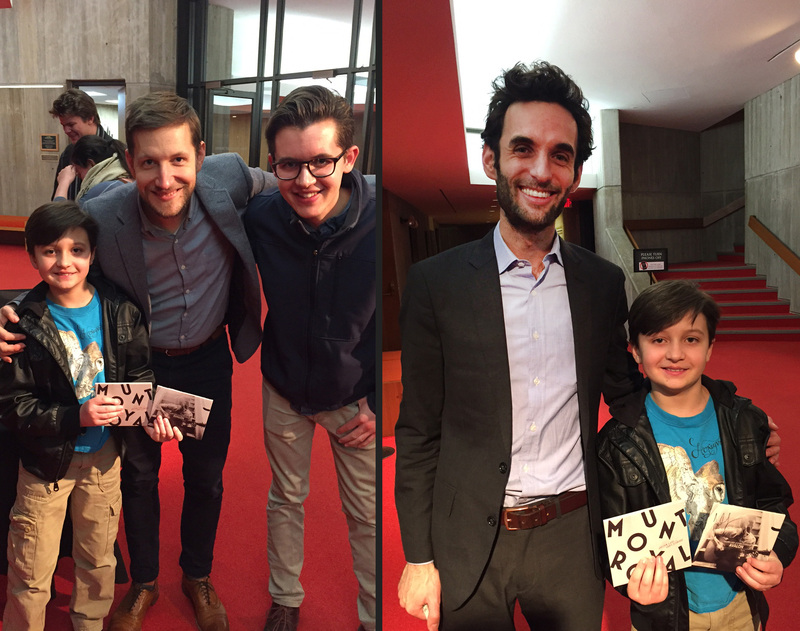 It was great to meet so many other kids who love to play music and love The Accidentals! 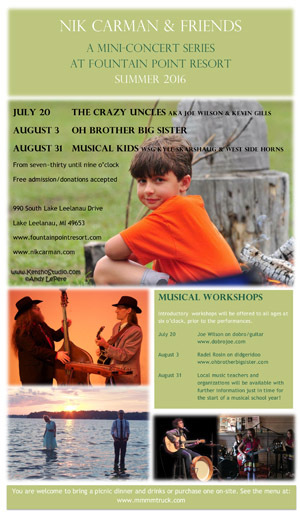 Speaking of Fountain Point, the final Nik Carman & Friends concert is on August 31st. 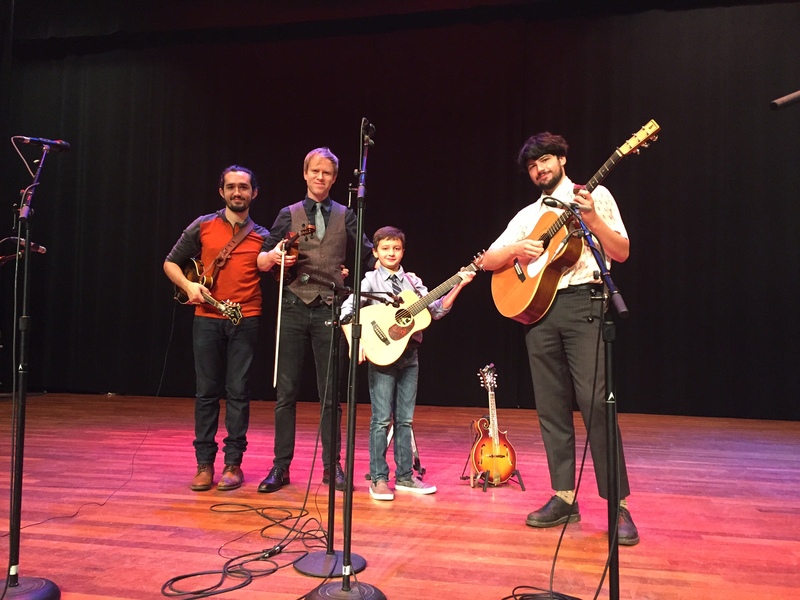 Kyle Skarshaug and the family band West Side Horns will be my special guests and Natalie Bourdo will be hosting her Taproot kids' open-mic before the show. Local music teachers and groups - TSO Civic Strings, The Rock Stop, TC Guitar Company, Studio Anatomy and more - will be there with information for any families who are interested. The fun starts at 6pm! Hope to see you there! 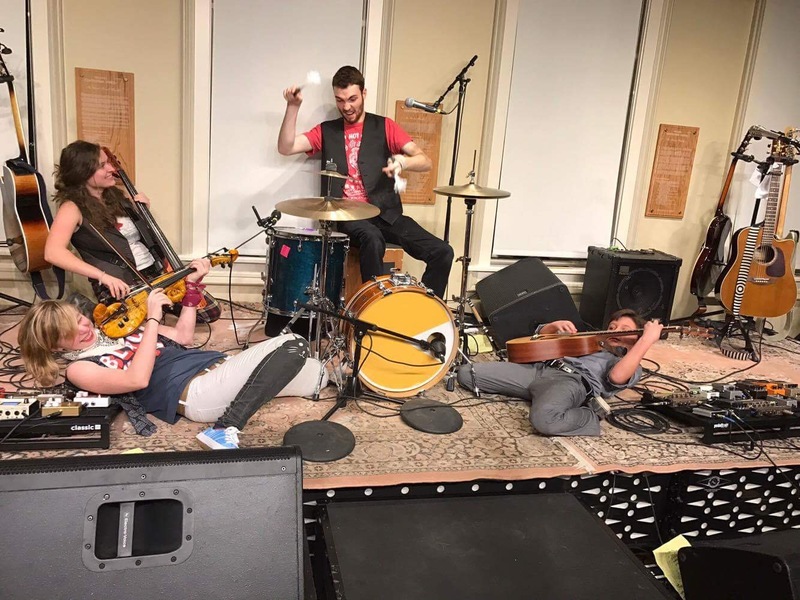 I can't wait to play this week with the Accidentals again at Concerts on the Lawn at The Pavilions before heading to Blissfest in Harbor Springs the next day and then Dunesville in Lake Ann later in the month. I'm looking forward to seeing so many great bands at Bliss - The Way Down Wanderers especially - and I have invited some new friends that I just met at music camp to play with me at Dunesville - Mac and Dylan from Hill & Honey out of Grand Haven, and also my buddy Kyle Skarshaug from TC. More big news: I am so excited to tell you that Fountain Point Resort has invited me to host a mini-concert series this summer! We are calling it "Nik Carman & Friends" and my first guests will be The Crazy Uncles - Joe Wilson and Kevin Gills - on July 20th. Joe will teach a dobro/guitar workshop at 6pm and then the show starts at 7:30. There is no cost for the workshop or show (donations accepted). Fountain Point is a beautiful family resort on Lake Leelanau with an amazing summer music line-up. I'm so happy to be a part of it and spending time there this summer! Come hang out with me! Thank you Wheatland Music Organization for the scholarship to attend Wheatland Music Camp in Remus, MI. 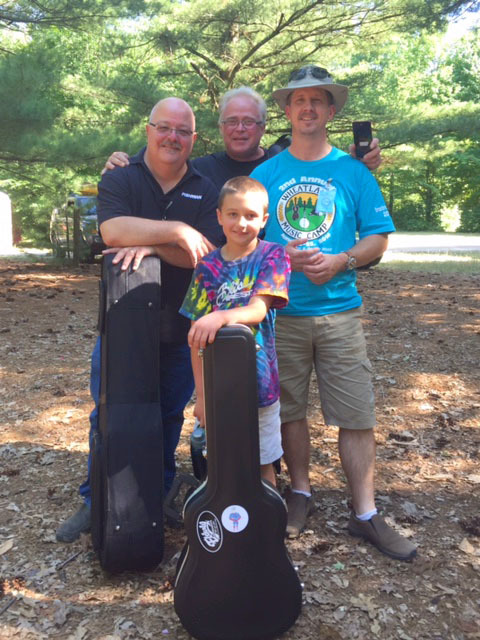 Here I am with some of my teachers - Jim Hurst (guitar), Paul Pope (banjo) and Dan Seabolt (fiddle). I didn't take fiddle lessons, but Dan let me accompany his students on the guitar at the student performance anyway. What a nice guy! Also, it was fun taking percussion from Kevin AuCoin and harmony singing with Frank Youngman. 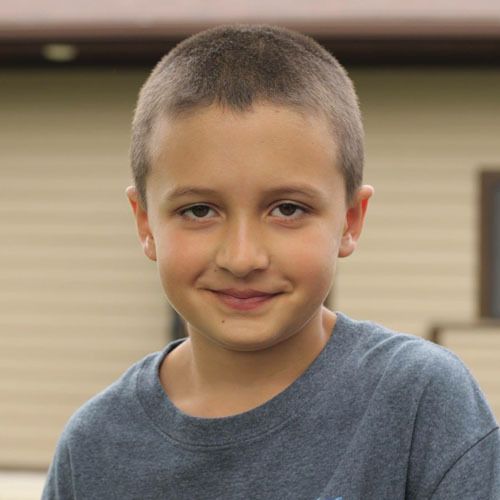 What a great week at summer camp! Hello and happy spring! My name is Niklas Pierce Carman but you can call me Nik. 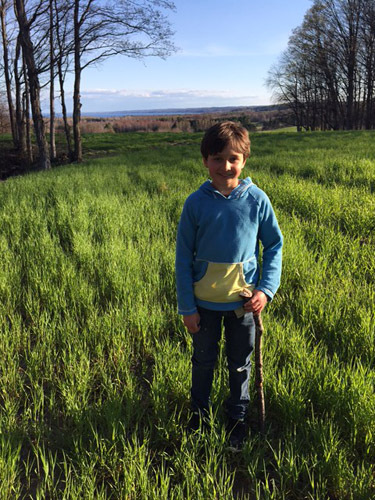 Some of the things I like to do in the spring are hunt for morel mushrooms, play tennis, and eat ice cream. But the thing I like to do the most is playing and performing music. This spring I've been having lots of fun jamming with Joe Wilson and Kevin Gills. We performed at Mohawks for Munson at North Peak this month and next month we'll be playing at the open space party that Midwest Living Magazine is throwing for Traverse City - The Greatest Midwest Town Celebration. I hope you can come! There are a lot of people who have been teaching me stuff this spring and I want to say thank you: to my voice teacher Rick Church for teaching me to breathe, to my strings teacher Mark Andersen for always sharing his honest opinion, to my teacher at Leelanau Montessori, Bethany Sparling, for being so nice all the time, and to my mom and dad for finally taking me to Elderly Instruments in Lansing! I'm excited to shoot a music video with Traverse City Tourism next week and I hope to share it with you in June. I'll be writing you a letter every month and adding updates to my website so please check back soon! Thank you for visiting my new website!!! Nik Carman © 2018. All Rights Reserved.